Given our core competencies, ARC is capable of offering “runs for hire” through to full consultancy and design programs. With the ability to dedicate talented personnel on a per annum basis that have access to our own in-house super computer, we can improve our customer's beneficial outputs several times over. Offering great value to our customers is what we believe builds a happy and reliable client base. Computing has completely changed the world in the past decade and its power is continually increasing. 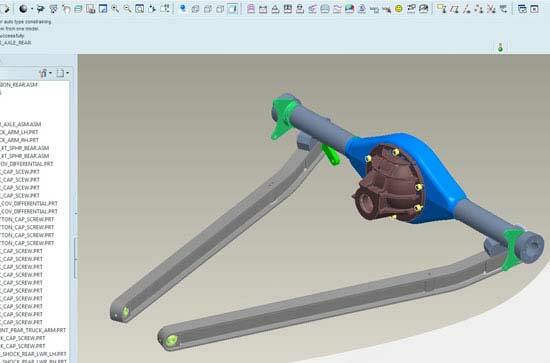 Computer Aided Engineering is the use of simulation and software packages to help assist in engineering design, cutting down the amount of time and cost in product development. ARC uses this to improve upon many aspects of vehicle design. Using Computational Fluid Dynamics as a way for better understanding the flow physics has proven invaluable in our successful programs. CFD has been around for many years, but has now come of age and when combined with the power of validation, the results can help with all goals of aerodynamics. Vehicle dynamics has changed rapidly in the last decade and Computer Aided Engineering simulations is the root cause of this. The level of understanding and amount of the vehicle can be simulated is at levels engineers could only dream of in the early 1990s. ARC has chosen to establish a pioneering role within the world-wide CAE community. Moving beyond our own software developments, ARC initiated a joint venture with ENGYS Ltd to form Streamline Solutions. Our joint venture is aimed at bringing the best of open source tools together in combination with our own proprietary software. Seen as the future, open source software will not be matched in its development pace by single commercial entities. Based on this, ARC has taken the decision to help write the future of CAE. Contact ARC via e-mail or phone at 317-291-8600 for more on CAE.